Painting Labour in Scotland and Europe, 1850-1900 explores hitherto unrecognized European variations in the phenomena of rural labour imagery, particularly in Scotland. In exploring these distinctions relative to Scotland and Europe it looks to develop a new understanding of the commonalities and idiosyncrasies of rural labour imagery which have often been treated as homogenous. Lacking the detailed analysis that has been accorded other images, writing about Scottish painting has often been appended to analyses of English or French imagery. It has generally been understood as intellectually divorced from the sometimes brutal realities of evolving Scottish nineteenth-century urbanism, or simply ignored. 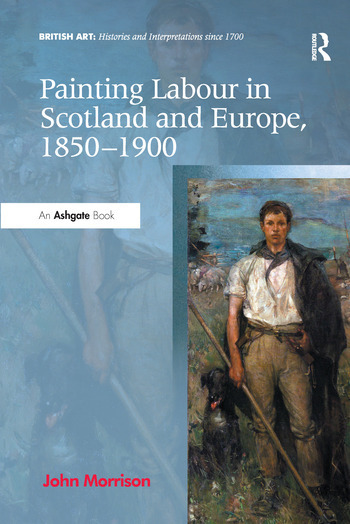 Painting Labour in Scotland and Europe, 1850-1900 sets out systematically to discuss the Scottish rural painting in relation to its particular Scottish historical context, both sociological and aesthetic and its English and European counterparts. Alongside canonical Scottish images by major figures such as James Guthrie, the book explores many hitherto under researched and unconsidered paintings by nineteenth-century Scottish artists, and considers them in relation to major English and Continental Realist and Romantic painters. The juxtaposition of J.F. Millet with W.D. McKay, and Edwin Landseer with George Reid makes for a volume that will appeal both to an academic audience and to one interested in European art history more generally. John Morrison is Professor of Art History and Head of School - Divinity, History & Philosophy, University of Aberdeen, UK.